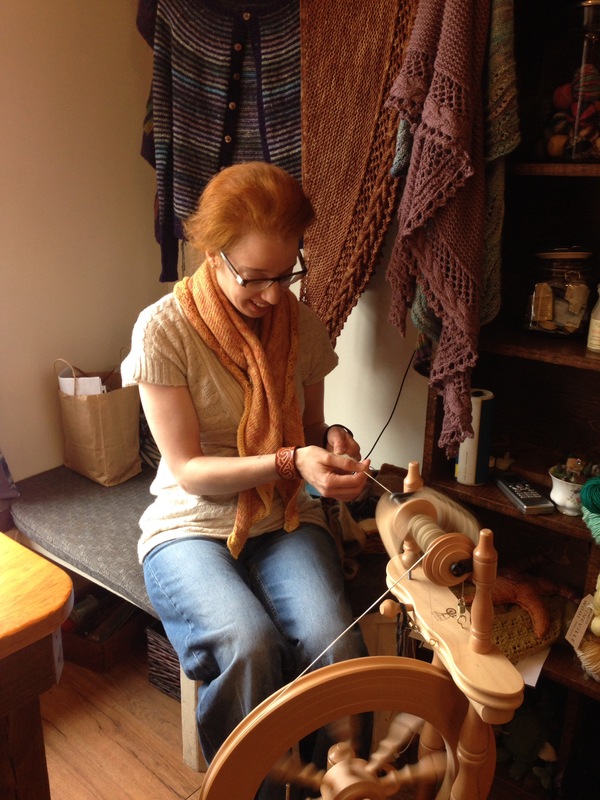 I received an impromptu lesson on the spinning wheel today. I was excited. It is a technique I would have to practice if I wanted to be at all effective at it. I’m pretty sure I look adorable doing it;) Thanks to Tammy for giving me her guidance. This wool/flax blend would be great for a utilitarian apron or market bag. I can’t wait until this years flax harvest is ready to become linen fibre. The harvest I helped with. It would mean a lot to me to be involved in the production of garments. Wow, what fun! I hope you get to make some fantastic items with your new wheel.